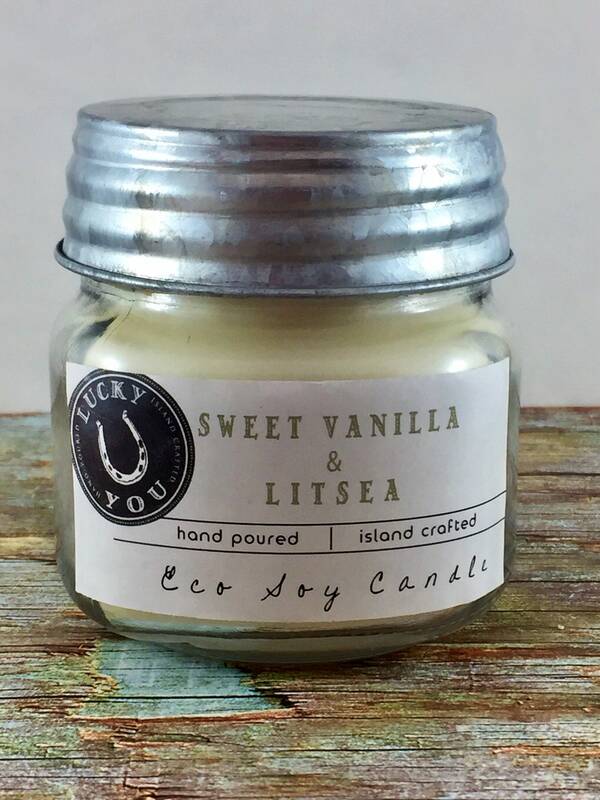 This listing is for one 6 oz/ 170 (g) "Sweet Vanilla & Litsea" scented candle. Our yummiest candle yet! Scented with a blend of sweet strawberry, cotton candy & creamy vanilla with notes of bright & sunny meyer lemon & litsea cubeba essential oils. Our hand poured Eco Soya candles are 100% Vegan and made with natural, sustainable and petroleum free soy bean wax. Each candle is beautifully scented using our own blend of phthalate free fragrance and pure essential oils. Cotton wicks are both lead and zinc free. Burn time is approximately 60 hours. Wax is dye free.